You don't need to prebook your admission at the National Lobster Hatchery but you may have family or friends who are coming to Cornwall that you would like to buy Admission on their behalf. Tickets are valid for a year so you can visit as many times as you like throughout the year. 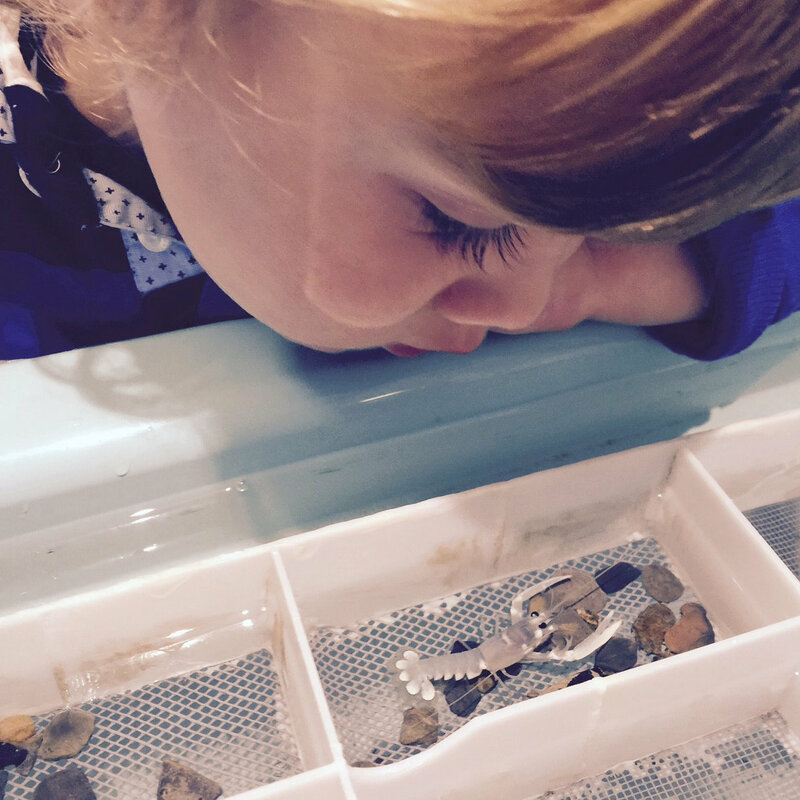 Perfect for some of our younger visitors who love the hatchery and come back again and again to watch our baby lobsters grow. If you have arrived at this page without any prior knowledge of the National Lobster Hatchery charity then please feel free to read about our marine conservation, research and education work on our website. The home page is a good start but you may find the following pages of interest What's it all about, Marine Conservation and the Adopt a Lobster and 'Journey of a hatchery reared lobster' pages which is where you can find out about our lobster adoption programme. If you are a UK tax payer & gift aid your visit, by making a donation equivalent to or greater than our admission price, you will receive free admission for a year, and be contributing to the charitable work of the National Lobster Hatchery.